When Pantone first announced the color of 2015, I have to be honest. I wasn't too thrilled. 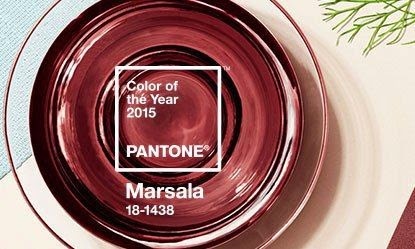 The bright Radiant Orchid and Emerald from the previous two years were so fun and uplifting and then we got MARSALA. I see it as a mixture of three dark reds: maroon, wine and bordeaux. If the worlds of fashion, beauty and home decor are basing their collections on this color, I figured I would have to get used to it. I did some research and found some cute marsala pieces that can be paired back to other items in your wardrobe so that you won't look like a faded glass of red wine. The hue is actually quite rich and I've now come to terms with the fact that this is the "it" color for the rest of 2015. 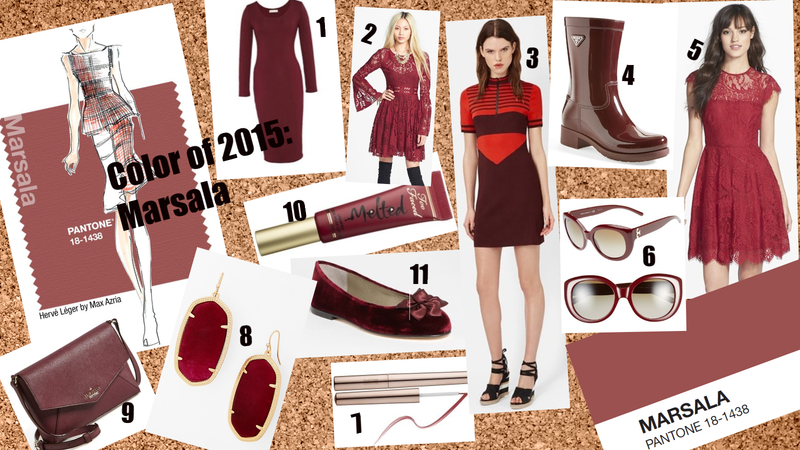 If you need to get acclimated to the color, start by adding a little marsala into your wardrobe with earrings, sunglasses or even a luxe lip. Better yet, pour yourself a glass of red wine to prepare yourself for a marsala mood. Happy 2015, stylistas! Click on the picture to enlarge and click on the numbers to shop that product.